« Where do labs come from? I’m back in MA for the first week of the spring semester, so this week’s picture is from the warmer clime I just left. Points for both volcanoes names plus where I must have been to take the picture — warning, the latter is slightly tricky! 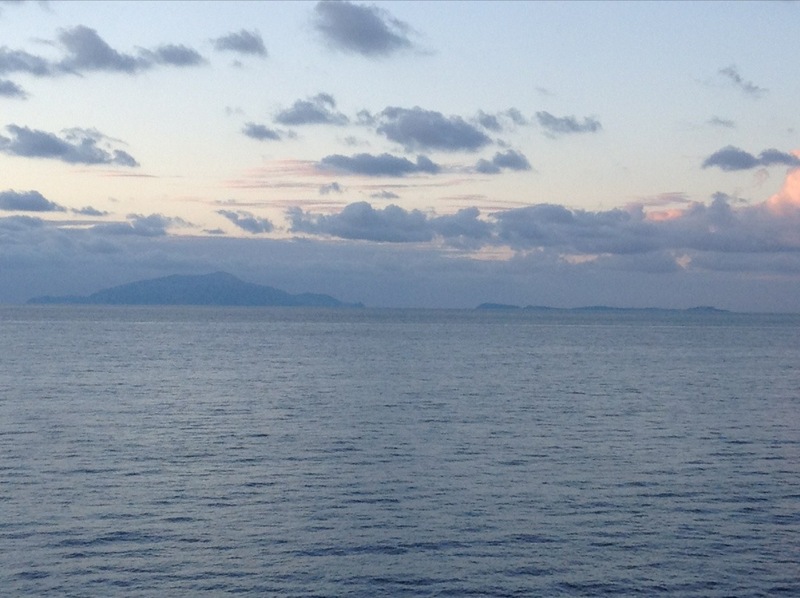 The islands are Ischia (left) and Procida (right) and I’d surmise you shot this from the ferry between Sorrento and Capri. Procida is an amalgam of four partially submerged volcanoes (I didn’t find names for them) and Ischia is the resurgent dome of the Ischia caldera (again, it’s a volcanic complex rather than a single volcano). They mark the western extent of the Phlegraean Fields (Campi Flegrei). Actually, we were on the ferry between Capri and Naples, but otherwise yes.